Welcome to the official website of grandmaster Natalia Pogonina! Welcome to the official website of grandmaster Natalia Pogonina! 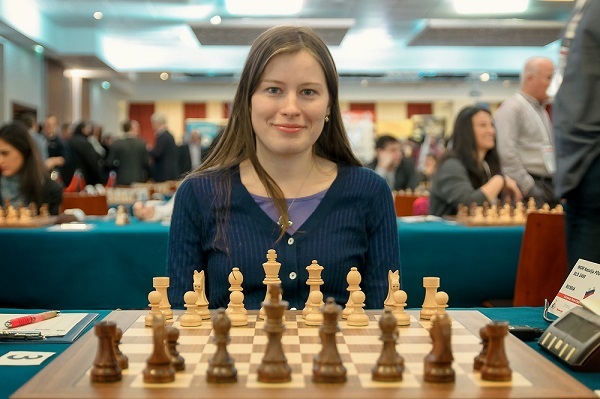 Natalia Pogonina (born March 9, 1985) is a chess grandmaster and one of the best female chess players in the world. Since 2004 she has been a member of Team Russia and has won three Olympic gold medals playing for her country. 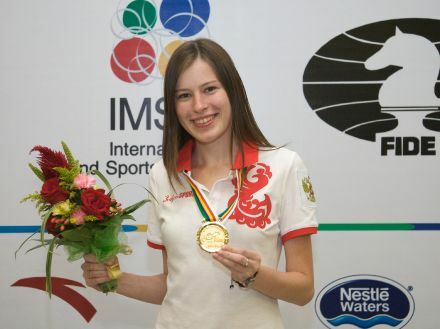 Woman Grandmaster (WGM), three-times European champion (U16, twice U18), bronze prize winner at the World Championship (U18) and European Women's Championship, winner of the gold medal at the 1st International Mind Sports Games, Russian women's champion (2012, 2018) and #1 at multiple prestigious international tournaments (2005 – Bykova Memorial, 2007 – Rudenko memorial, 2009 – Moscow Open, etc.). Ranked as 3rd most successful female chess player in the world in 2009 by the Association of Chess Professionals. 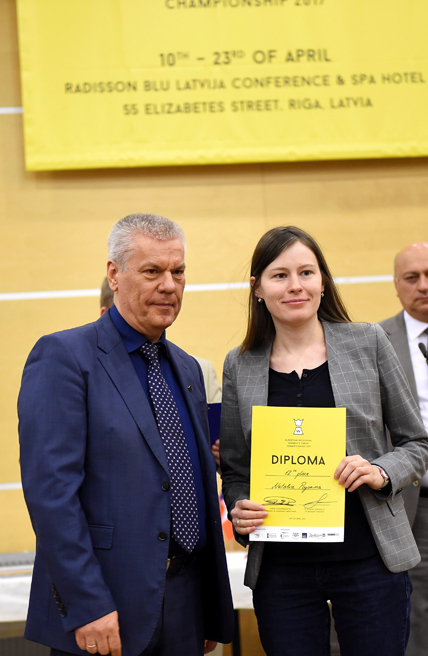 In 2011 Natalia became the only chess player in the world to simultaneously win the Eurocup and European Team Chess Championship and in 2013 - the only person to hold the individual and team Russian Champion titles. She was runner-up at Women's World Team Chess Championship-2011 and earned the bronze medal in 2013. Natalia is the reigning Olympic Women's Chess Champion. In 2015 Natalia Pogonina became the runner-up of the Women's World Chess Championship. I've been receiving a lot messages from people who like to solve chess puzzles, especially interactive ones. Previously we used to post static diagrams from time to time, but they probably were old-fashioned and not user-friendly enough. Also, there have been many requests to provide more information about my own games. As a result, I am glad to share with you the new Pogonina.com widget. On the board, using your mouse, you can solve the "puzzle of the day" or a random puzzle. Please note that you are not obliged to stop solving the puzzle after the widget displays the "Puzzle solved" sign. 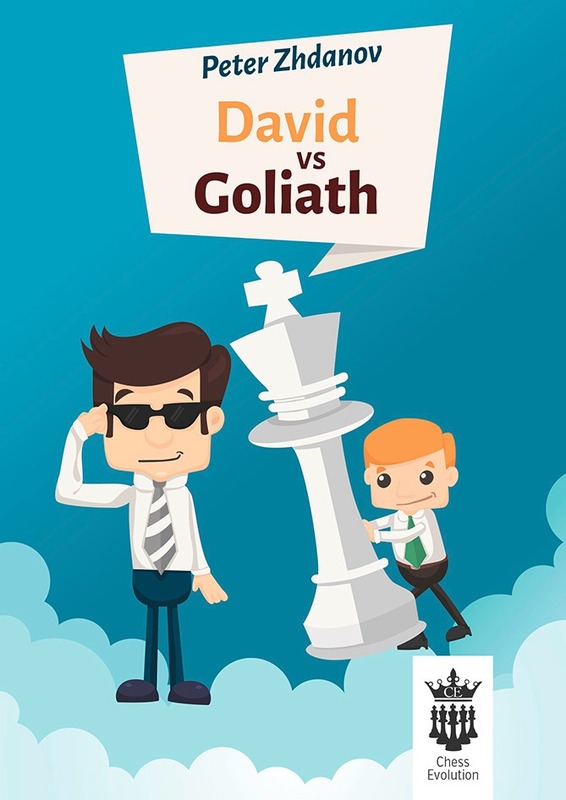 If you are interested in the final position or not sure what the evaluations is, you can always play the game out against an inbuilt chess engine. Similarly, if you make a "wrong" move, the widget will tell you that, but you can always insist on your choice if you like and see how the match would unfold. These features make the widget highly interactive and fun: you are encouraged to act in a creative way and improve your chess by practising to take important decisions in exciting tactical positions! Finally, don't forget about using the "hint" button if you get stuck. As of now all the puzzles are based on positions from my own games. 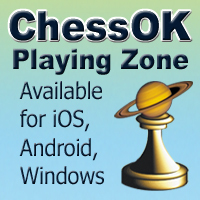 Please let me know in the comments to this post what you think about the widget and whether you would like to see examples from the games of other chess players. Every day a new problem will be added to the collection. Have a great time solving the puzzles! P.S. If you have your own site, please feel free to embed the widget, thus making it easier for yourself and your audience to access the puzzles. Don't hesitate to contact us if you experience any technical problems or need special tuning. 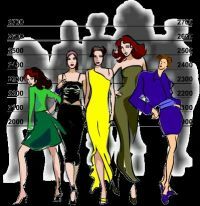 Women's World Chess Championship 2018 is taking place in Khanty-Mansyisk, Russia. 64 participants have entered the knock-out event in order to fight for the chess crown, 4 spots in the upcoming Candidates tournament and the $450,000 prize fund. In round 1 Natalia defeated Indian WGM Bhakti Kulkarni (2256) 1.5-0.5. Round 2 turned out to be more challenging for WGM Pogonina. She traded blows with Chinese chess prodigy WIM Zhu Jiner (2379) in classical chess and won both rapid games. Round 3 became a true nailbiter. Natalia faced GM Kateryna Lagno (2556) - a formidable opponent given her rating and an exceptional personal score vs Pogonina. All the classical time control, 25m and 10m rapid games were drawn. In blitz Natalia won the first game and lost the second one. The first Armageddon game of the event followed, where Lagno had White and 5m against Natalia's Black and 4m with draw odds for Black. After a tough struggle White managed to come out on top. This year the Russian Chess Superfinal took place in Satka 25th August to 6th September. 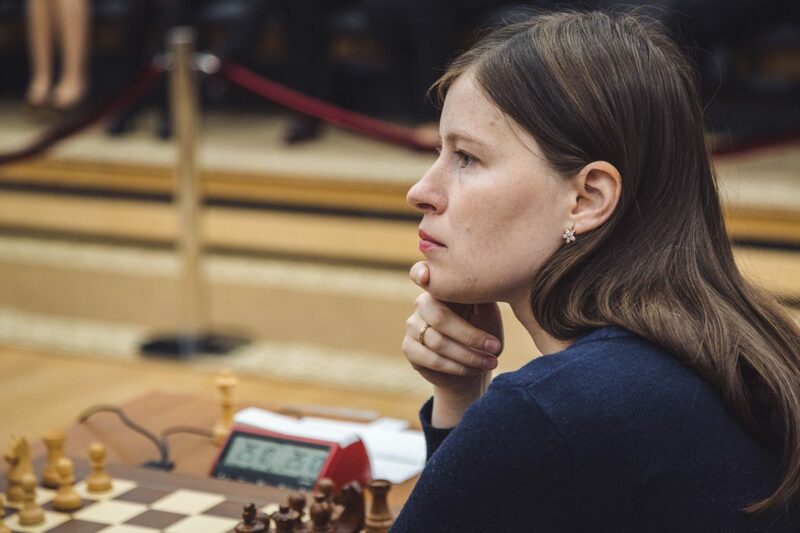 While the men's championship lacked a few key players (Kramnik, Grischuk, Karjakin, Svidler), the women's championship featured pretty much all the leading female players except for Kateryna Lagno. After a hard-fought event Natalia Pogonina and Olga Girya shared first with 7.5 out of 11. 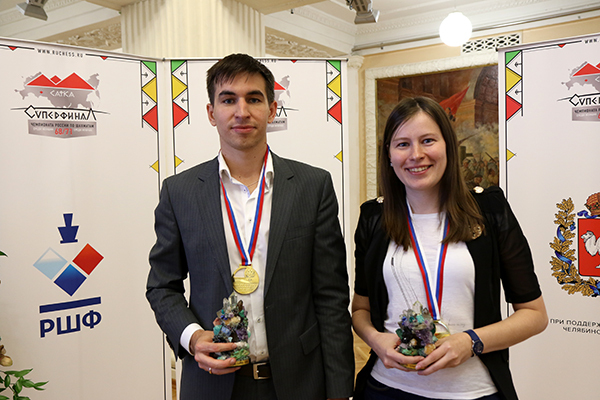 Natalia prevailed in the playoffs by winning the first game and drawing the second one, thus becoming the Russian women's chess champion yet again. For this achievement she was awarded a monetary prize & a brand new Renault Kaptur car. 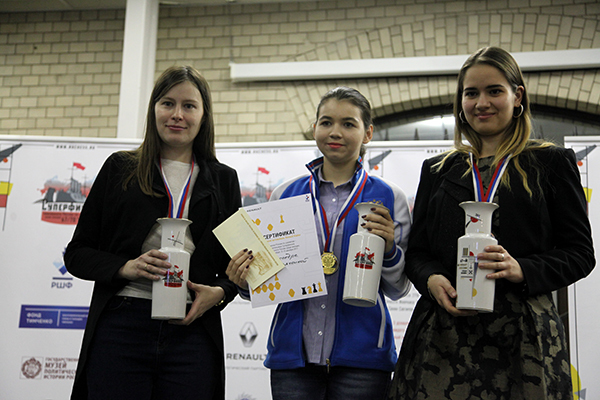 The Women's Russian Chess Superfinal took place from December 3 to 14 in St. Petersburg. The prize fund of the tournament was roughly $150k. The winner also received a Renault Kaptur car for her efforts. 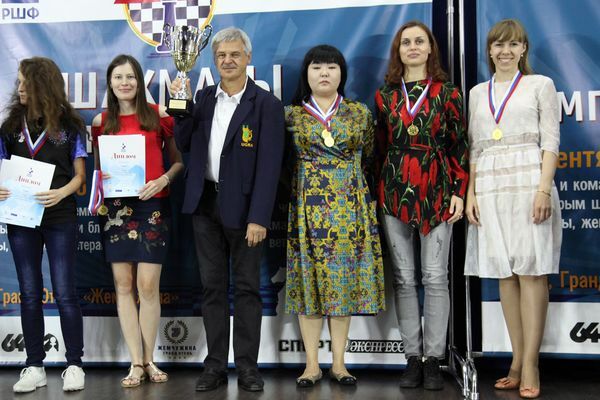 Natalia Pogonina shared 1st-2nd places with Alexandra Goryachkina after the classical portion and went on to lose the dramatic rapid tie-break and to end up winning the silver medal. Notably, last year she also became the runner-up of the event. 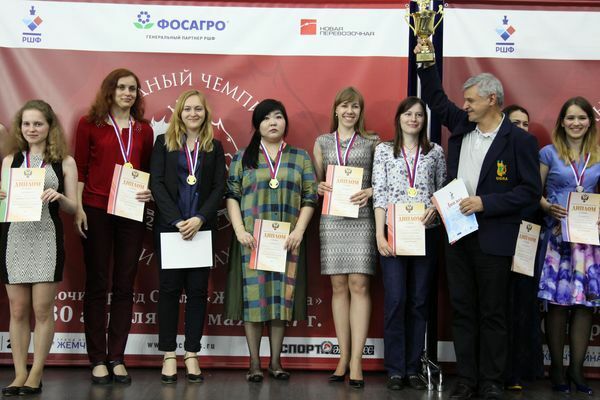 Ugra followed up this year's success in classical chess by winning both the rapid and blitz Russian Women's Team Chess Championships. Natalia Pogonina also earned silver on board 1 in rapid and gold on board 1 in blitz as far as individual results are concerned. 1. Every month IM Maxim Notkin chooses a short list of notable games and sends them over to some of the well-known GM/IMs. After their vote a monthly hit list if published. 2. At the end of the year the best of the best games are presented to the experts once again. They are asked to pick their top-10. 3. A final hit list is published by ChessPro after collecting all the scores from all the experts. Nikita Vitiugov, Evgeny Tomashevsky, Dmitry Jakovenko, Valentina Gunina, Natalia Pogonina, Sergei Rublevsky, Alexander Riazantsev, Alexander Motylev, Evgeny Najer, Igor Lysyj, Artem Timofeev, Adrian Mikhalchishin, Miguel IIlescas, Olga Alexandrova, Mikhail Kobalia, Alexei Kuzmin, Sergey Ivanov, Mikhail Krasenkow, Evgeny Miroshnichenko, Mikhail Prusikin, Alexey Goganov, Alexander Shimanov, Vladimir Barskij, Dmitry Kryakvin, Sergei Zagrebelny, Alexei Korotylev, Sergei Grigoriants, Adam Tukhaev, Konstantin Sakaev, Konstantin Landa, Evgeny Gleizerov. 1. Aronian - Rapport, 0-1. Richard played a fascinating game; the move 27...Rh1! was the icing on the cake. His mighty opponent loves creative chess himself, but this time he was defeated. 2. Carlsen - Karjakin, 0-1. First blood in the World Chess Championship match. A very tense game and a beautiful finish. 3. Caruana - Nakamura, 1-0. This duel could have easily been rated #1 had the queen sacrifice not been prepared at home. Nevertheless, a very nice game. 4. Kramnik - Buhmann, 1/2-1/2. Vladimir Borisovich played very creatively and was very close to winning. However, it is the case when a drawn game is more interesting content-wise than many other remarkable victories. 5. Grischuk - Volokitin, 0-1. The piece sacrifice was quite unexpected and fascinating. On top of that, this game was important for the team match result. 6. Eljanov - Carlsen, 0-1. A solid Catalan opening has all of a sudden led to a double-edged game involving a piece sacrifice. In the end Magnus emerged on top. 7. Wei Yi - Carlsen, 0-1. ChessPro referred to this game as a "breainteaser" and I tend to agree. From first glance it's hard to tell what was going on and who was better. One has to examine the game over and over again to come to a definite conclusion. 8. Karjakin - Caruana, 1-0. 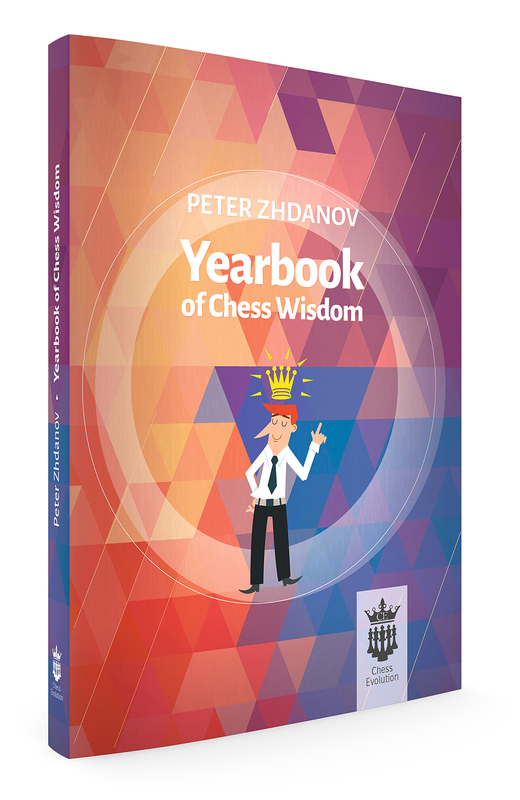 I included this game based on its serious impact on the final standings of the Candidates tournament. When a lot is at stake, chess beauty recedes into the background while struggle and tension rise to the forefront. Also, of course, I enjoyed the elegant 37.Rd5! move. 9. Timofeev - Eliseev, 1-0. It took Artem a while to find the keys to Yuri's fortress. The position after 48.Qe5! is quite fascinating. 10. Gagunashvili - Dubov, 0-1. There were quite a few candidates for making it to the top-10, but this game has somehow caught my attention. After 18...Bh3! a tornado seems to have flown over the board. After gaining some breathing space the Black knights began their remarkable and deadly dance. 1. Kramnik - Buhmann, Dortmund, 1/2-1/2, 166 points total. 2. Caruana - Nakamura, London Chess Classic, 1-0, 164 points. 3. Timofeev - Eliseev, Moscow Open, 1-0, 148 points. 4. Aronian - Rapport, European Club Cup, 0-1, 111 points. 5. Anand - Karjakin, Candidates tournament, 1-0, 86 points. 6. Eljanov - Carlsen, Wijk an Zee, 0-1, 85 points. 7. Carlsen - Grandelius, Norway Chess, 1-0, 84 points. 8. Carlsen - Karjakin, World Chess Championship, 0-1, 83 points. 9. Grischuk - Volokitin, Chess Olympiad, 0-1, 74 points. 10. Wei Yi - Carlsen, Bilbao Masters Final, 0-1, 73 points. This year Ugra (Ushenina, Pogonina, Girya, Nechaeva, Kovanova) cruised through the field, scoring 8 wins in the 8-round round robin. Their main rival, SHSM - Legacy Square Capital (Kosteniuk, Kashlinskaya, Kovalevskaya, Pustovoitova, Shuvalova) won the silver medals with 14/16 points, while the team from St. Petersburg (Bodnaruk, Ovod, Belenkaya, Styazhkina, Chernyak) ended up on third place with 12/16. 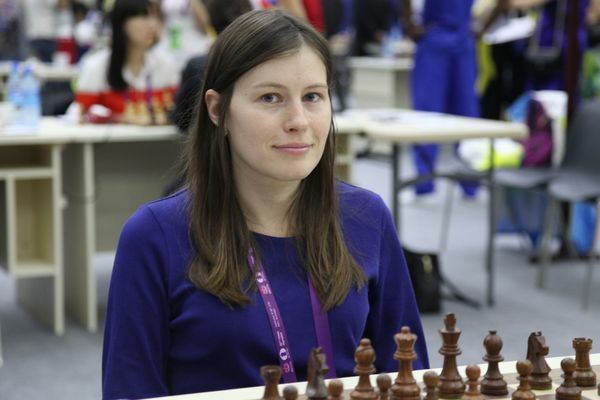 Nana Dzagnidze (Georgia) won the European Women's Championship-2017 with 8.5 points out of 11. Russian players Aleksandra Goryachkina (8) and Alisa Galliamova (8) earned the silver and bronze medals accordingly. Natalia Pogonina scored 7.5/11 and shared 4th-15th places, ending up on the 12th spot according to the tie-break scores. Therefore, she has qualified for the next Women's World Chess Championship. 1/32-final: Natalia Pogonina (2487) defeated Zhou Qiyu (2287) 1.5-0.5. 1/16-final: Natalia is drew Huang Qian (2451) twice in classical chess, traded blows in 25m rapid and won 1.5-0.5 in 10m rapid. 1/8-final: Natalia was eliminated by Ni Shiqun (2399) with a 0.5-1.5 score.